Looking for a beautiful single family home in Carriage Hill with a low to no maintenance lifestyle? If so, then this home is waiting for you. Located on a quiet street is this newer 4 bedroom 2.5 bath home. When you enter into this open floor plan home, you~ll notice the hardwood floors that flow throughout the first floor. The woodworking is extensive with tray ceilings, wainscoting, trimmed ceilings and more! The gourmet kitchen boasts granite, Stainless Steel appliances, over-sized island with seating and an abundance of cabinetry. The kitchen opens to the nicely sized family room with fireplace and plenty of windows to enjoy the sunshine. The butler~s pantry is adjacent to the kitchen and leads into the dining room. There is also a first floor home office with French doors for privacy. Take the open staircase to the second floor. The master bedroom suite has a large walk-in closet and a smaller walk-in. The master bath features double sinks, a soaking tub and separate shower. The other three bedrooms share the hall bath. The laundry is conveniently located on the second floor. The finished basement offers even more finished living space and storage. With windows letting in natural light, and finished cork floors, this space is prepped for fun as a game room, play room or whatever needs you may have. There is plenty of storage and it is pre-plumbed for a bathroom. The attached two car garage completes this home. Also noteworthy is that this home is located on one of the larger lots, with no home on one side. It is also tucked toward the back of the neighborhood on a quiet side street. 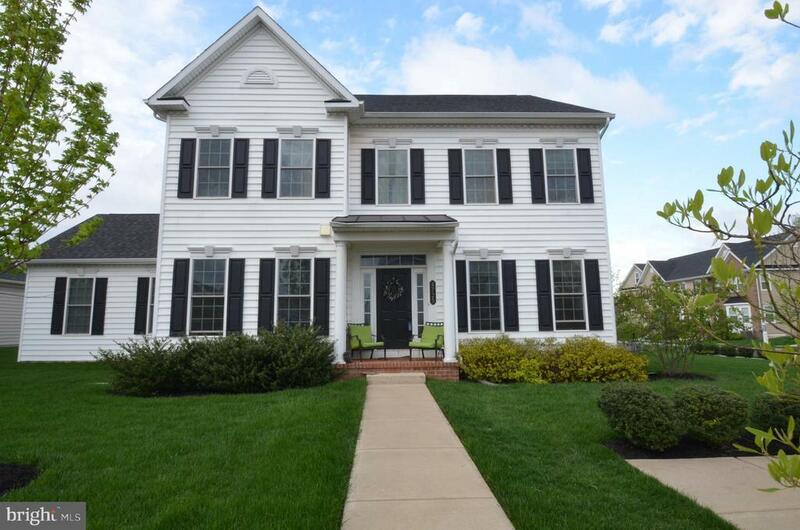 With Central Bucks School District, close proximity to Doylestown Boro and the low maintenance living, you will find it a wonderful place to call home.